While a bit dry at times, the film convey the very real danger of the space race while also providing an insightful look into the life of Neil Armstrong. Gosling does justice to role while the score by Justin Hurwitz seems as important a part as the main cast. 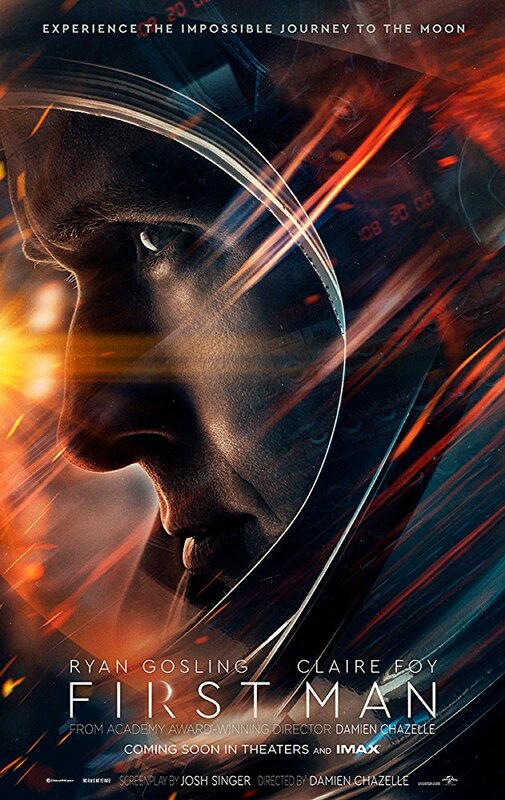 A film that puts you on edge despite knowing the outcome does its job right and First Man remains compelling despite some slower moments. I was so excited to see this film, only to find out that it has nothing really extraordinary. It is still a well made film, Claire Foy and the overall sound design and music are really commendable. I just wished the story-telling was more cohesive and focused on one aspect of this space exploration. We knew the story and the event was more than familiar to the audience, it could have been better if the film invested more on the humanness (which I know the filmmakers tried) rather than the thrill of actually landing on the moon. Houston We Have a Problem-Whoops! Wrong Movie! �We choose to go to the Moon in this decade and do the other things, not because they are easy, but because they are hard�. �First Man� is a lift off folks. A beautiful, yet melancholic look on a man�s journey to the moon. Focusing on grief and loss that can poison anyone's thoughts. At the end, you get the sad realization it was a suicide mission, not a heroic one. Making you think twice of wanting to be an astronaut. No posts have been made on this movie yet. Be the first to start talking about First Man!